It has been a blissfully blistering summer and especially when the girls were away on vacation, my husband and I depended on fast and easy meals like plain ol’ steak and potatoes. As good as it is though, that soon gets old and one of my favorite ways of sprucing up a steak dish is to create a fiesta out of it! My husband loves fajitas because of the intense flavors. I love the flavors too, but I also love the convenience. And for hot summer days when sometimes the air gets so thick that you don’t even want to move, something fast and easy for dinner fits the bill perfectly. I was also going to say something light for dinner, but that doesn’t always work with a meat-eating-man. The compromise here is, with a dish like this, he can still load up on the protein and I can either have this over salad or make mini tacos with the tortillas. 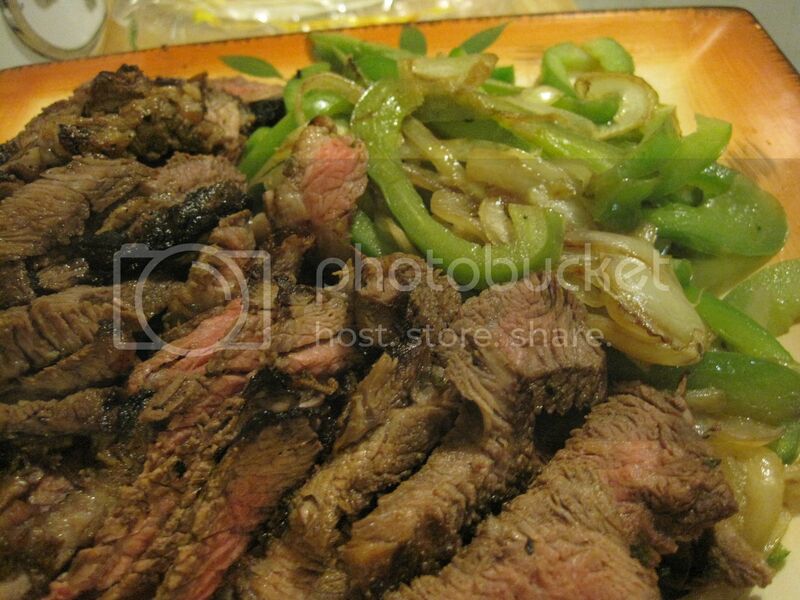 To me the major components of a good fajita are the sauteed onions and bell peppers, a good salsa or pico de gallo, and if you have it, good home made guacamole. From there, you can use your choice or meat (chicken, steak or seafood) and condiments. The recipe below is for the marinade. 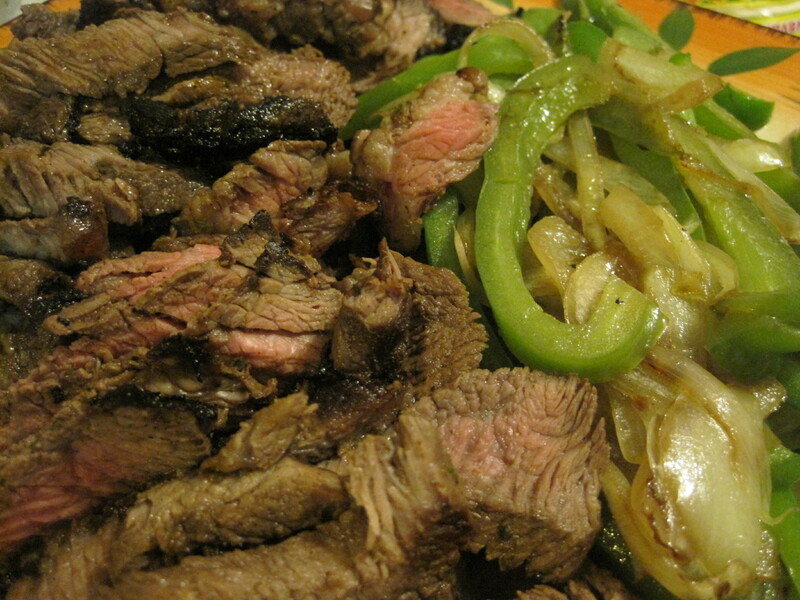 The fajita marinade is crucial to getting just the right ‘fajita’ flavor. 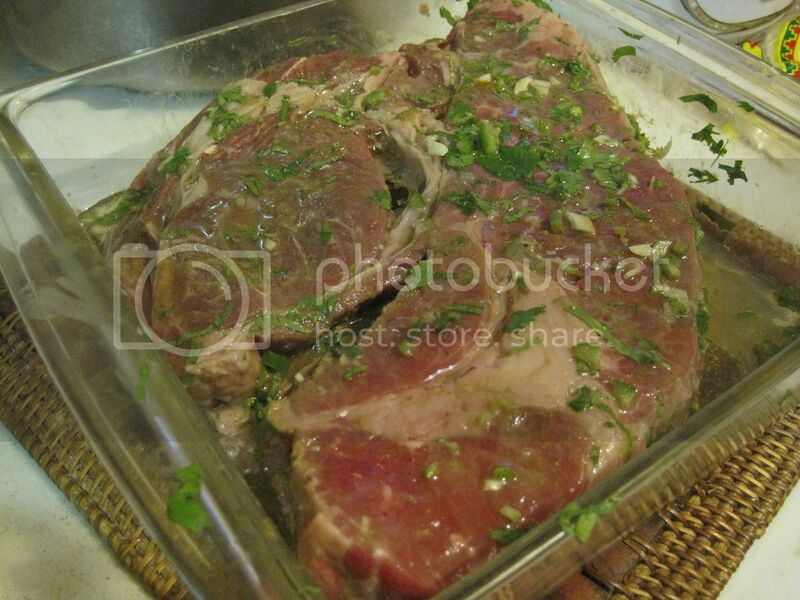 : This is the marinade recipe for steaks or chicken. Whichever you decide to use for your fajitas. The flavor for the steak is all in the marinade. You can put the steak in the marinade overnight or for just an hour if you’re short on time.